As you are aware, I attended Costume College for the first time this year and I wanted to make a quick post about it. I wish I had more pictures, but I was so busy with the classes and looking at everyone's costumes that I wasn't even thinking about taking pictures. The event was SO fun and it was so awesome to get to meet a bunch of costumers I've been following for a long time, as well as meet a lot of new people. I learned a lot of awesome stuff from the classes but my favorite part were the social events. 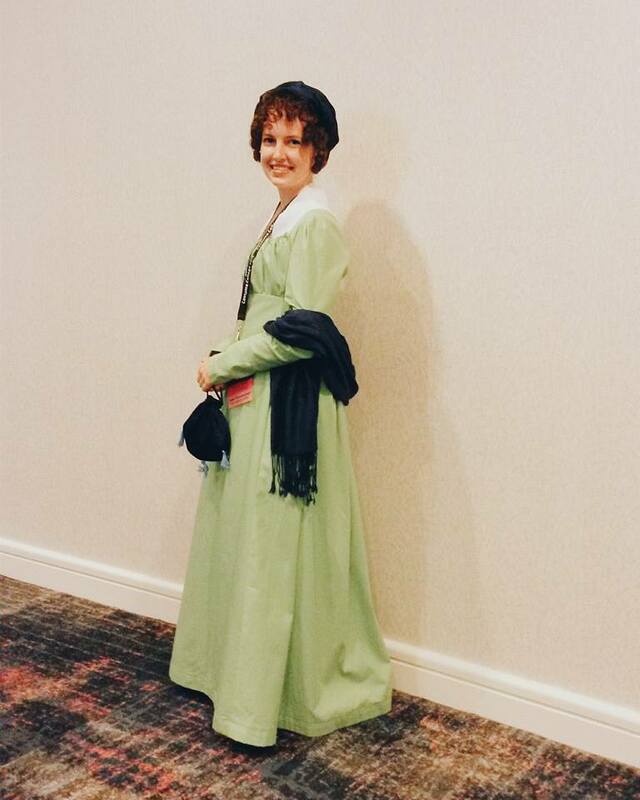 Friday night I wore my green Regency dress. Regency isn't necessarily a favorite era of mine, but it's so easy to make and wear! It's just so simple compared to other eras. Saturday night was the big event of the weekend, the Gala! 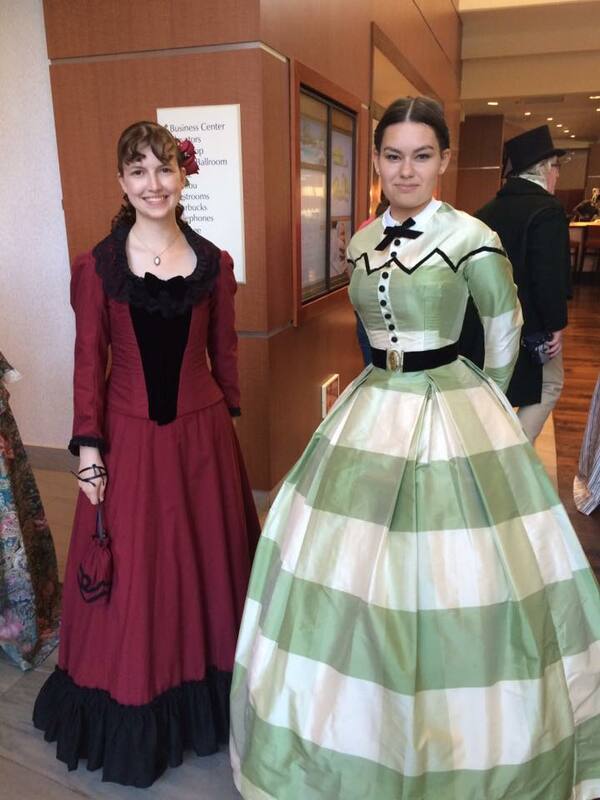 I finally got to wear my finished 1871 dress that I had been working on for far too long. Michaela wore her 1860's plaid dress, which was so pretty. We took a couple photo's together and are still waiting for the photographer to post them so we can share. The only part that wasn't fun was that I got sick on the way to California. During the drive down I started getting sick and for most of the weekend I could hardly speak because my throat was swollen. I was still able to have fun, but speaking was difficult. I really hope to go again next year and already have so many costume idea's. I don't remember exactly how this came about, but somewhere along the weekend I got it into my head to make a 1840's dress. I've recently become obsessed with Jane Eyre after watching the movie and reading the book. So on Monday at the fabric district I picked up some plaid linen for a dress along with 10 yards of white cotton for petticoats. I'll be posting about that soon.